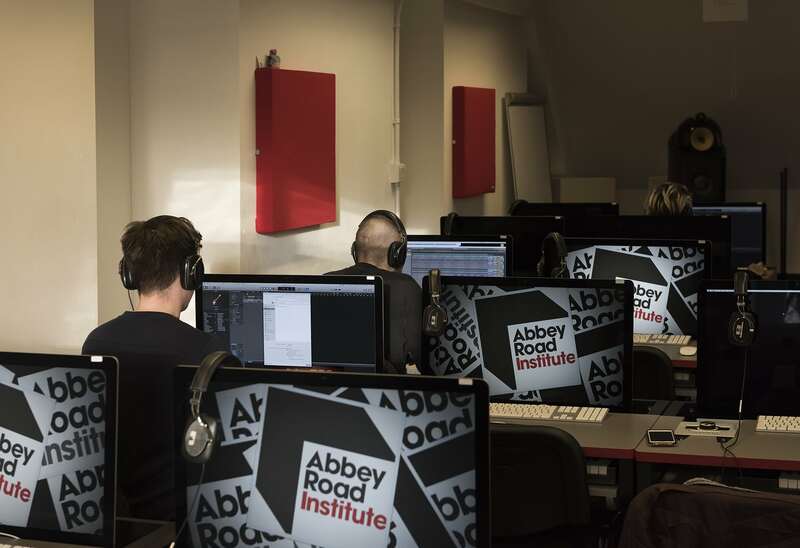 Abbey Road Institute London is a specialist music production school, offering an intensive one year course designed in collaboration with the team at Abbey Road Studios and our wider network of industry experts. You will learn from creative cutting edge producers, technical experts, business professionals and established and experienced names across the music industry. Our Abbey Road heritage is important in giving context to today’s music industry. You’ll learn about the evolution of the studios and how innovation at Abbey Road helped drive the music industry forward. Alongside the history and theory we put a strong emphasis on learning technical skills, so you’ll spend time both in dedicated lectures and independently working with ProTools and Logic as well as Ableton Live. Choosing to study at Abbey Road Institute is a life-changing decision and a once in a lifetime experience. Not long after completing our Advanced Diploma, then securing an internship at SARM Studios, Gabrielle impressed the staff enough to land herself a permanent place on the roster. Gabrielle's first engineering session was in Trevor Horn's personal home studio so she hit the ground running! Since then she's worked on a lot of sessions and with a range of producers including Jeff Bhasker.